If you have children at home you will for sure want to make them always happy and at a young age know how to value money. So you tend to look for many alternative ways to make every playtime of your child be educational and at the same time they are also enjoying. One of the most basic toys known to many kids are airplanes which can be made of paper that are only folded or learn how to make aluminum airplanes which are more durable that making paper airplanes at home. 4 cans that are made up of aluminum (this kind of substance is one of the strongest and durable toy to enjoy. A tracer or a plan you can have as a guide to make your aluminum airport. When you are handling with the materials that can be dangerous (make sure that you can cut each of the can). Make it safe to use, remove all the dangerous corners of the can properly, wash and dry. Aluminum can are very bendable and they are very soft to have as plane so it is very important if you can still maintain the form of the can. After the primary things to do, cut a 2 and 1/2 inches of the bottom can and save the other piece of can later. Be careful in removing the top of another aluminum can and so as the bottom part of the can. Cut a portion part of the can into half and then in a flat and solid area unroll the metal. The inner portion, make a mark and draw a line or any design on your can airplane. Be sure they have the same size and especially the shape. To be sure, you can cut first the first wing then the other wing. You need to look for another scrap of the can and draw a propeller and ideally it should be measured 3 inched as the length. It is very important that the propeller can be able to turn. 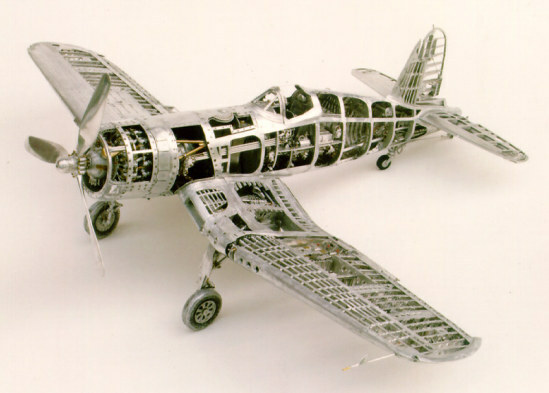 Now you can also use the bottom part of the aluminum as a propeller. Look for the scraps and apply adhesive glue so that you will be able to conserve any aluminum cans. Carefully check is all the things you will need are already done line the strings and glue in the house.